A cat's tongue is scratchy because it's lined with papillae, which are tiny backwards hooks that help to hold prey in place. 18% of people with companion animals sleep with them. 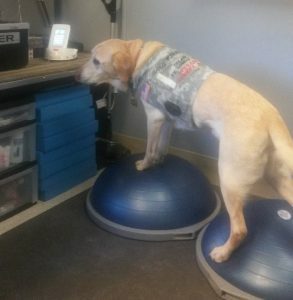 Physical rehabilitation is the diagnosis and management of patients with painful or functionally limiting conditions, particularly those with injury or illness related to the neurologic and musculoskeletal systems. The goal of rehabilitation is to achieve the highest level of function, independence and quality of life possible for the patient. 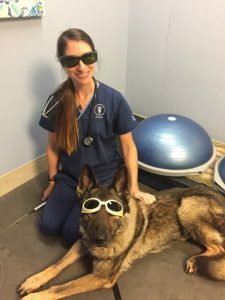 Veterinarians certified in animal rehabilitation will work closely with your pet’s primary care and specialty veterinarians. They will also prescribe a treatment program including additional therapies that are specifically designed to meet your pet’s needs. This multimodal approach provides greater opportunity for a successful outcome. 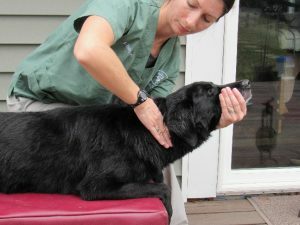 Possible rehabilitation therapies that may be recommended for your pet are listed below. Therapeutic exercises can improve strength, flexibility, balance and coordination and can slow progression of disease, leading to an enhancement in mobility and better quality of life. 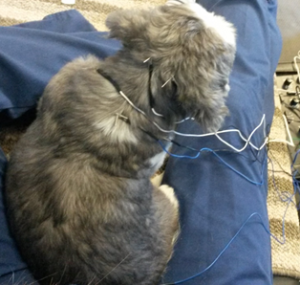 A rehabilitation practitioner professional will devise an individualized plan for your pet with specific goals. A custom fitted splint, orthotic device, or cart may be recommended for your pet. These devices are used to support an injured limb while it heals, to correct a deformity or to encourage correct limb use. Carts are fitted to patients that are paralyzed or unable to walk without support.